Plus discount admission to other AZA Zoos & Aquariums around the country. Allows one individual the benefits to both the zoo and museum. One card is issued with one name. Allows one individual to bring one guest at each visit to RHZ., OR two people residing in the same household may purchase this membership, and both names will be on the card. This allows the couple to visit together or either person to visit with a guest. One card issued. Allows two adults, living in the same household, to bring two guests each time they visit. Great option for grandparents. Two cards issued. Allows two adults living in the same household, and their children under the age of 18, unlimited admissions to the zoo and museum. Two cards issued. Allows two adults living in the same household and their children under the age of 18 unlimited admissions to the zoo and museum. Two cards issued. Family may bring one guest each visit. Sitter Option: A sitter may bring the children to the Zoo under the guest privilege, but one of the adult membership cards must be presented. This level includes either a Family or Couple Plus Two membership, plus 6 one-time guest passes, and a tax-deductible gift to RHZ in the amount of $110. This level includes either a Family or Couple Plus Two membership, plus 12 one-time guest passes, and a tax-deductible gift to RHZ in the amount of $215. 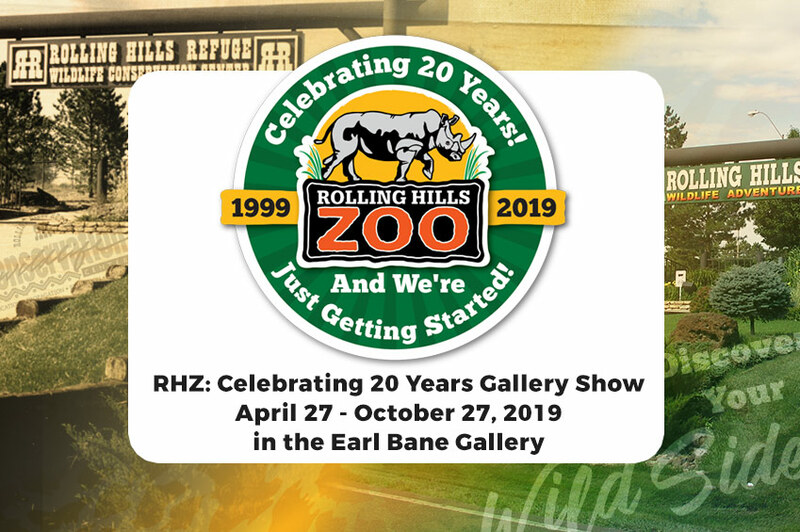 To become a member of Rolling Hills Zoo, call 785-827-9488 or click the button below. 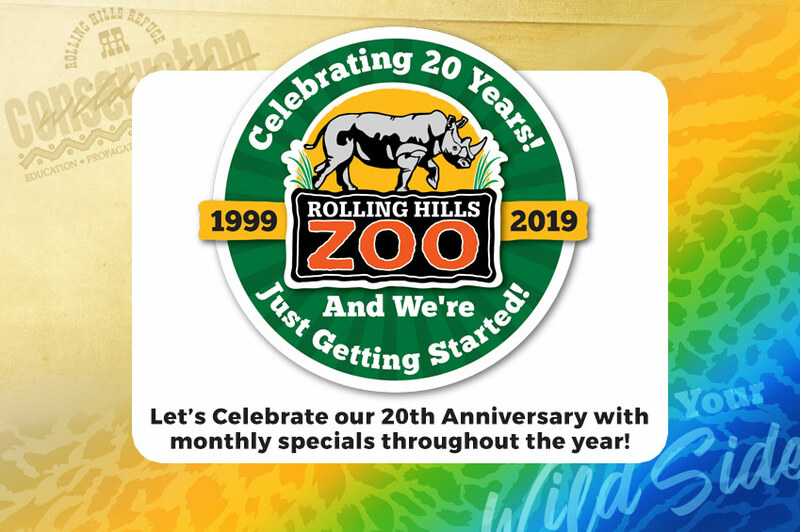 Did you know that as a Rolling Hills Zoo Member you could receive a discount at other AZA-accredited Zoos across the country? One of the benefits of becoming a member of your local AZA-accredited zoo or aquarium is free or discounted admission to AZA-accredited zoos and aquariums that participate in the AZA Reciprocal Admissions Program. APRIL SPECIAL: On April 27th receive 20% off on all items at our Elephant's Trunk Gift Shop. 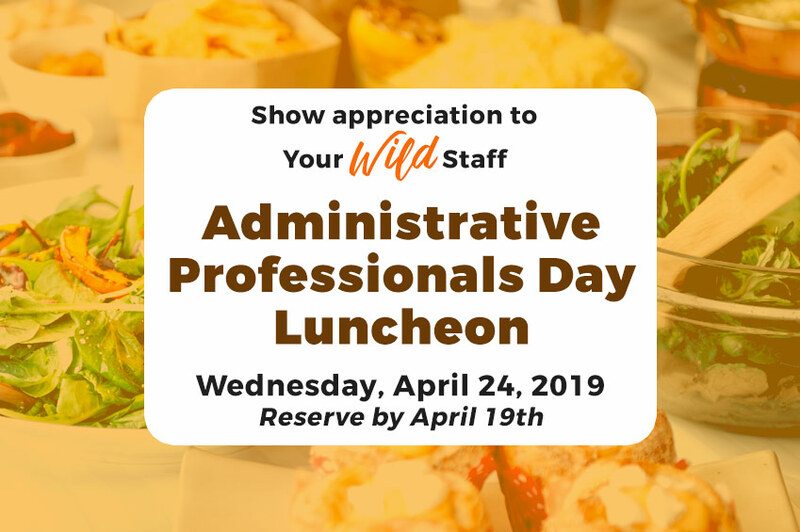 Show appreciation for your "WILD" staff during our Administrative Professionals Luncheon at Rolling Hills Zoo! 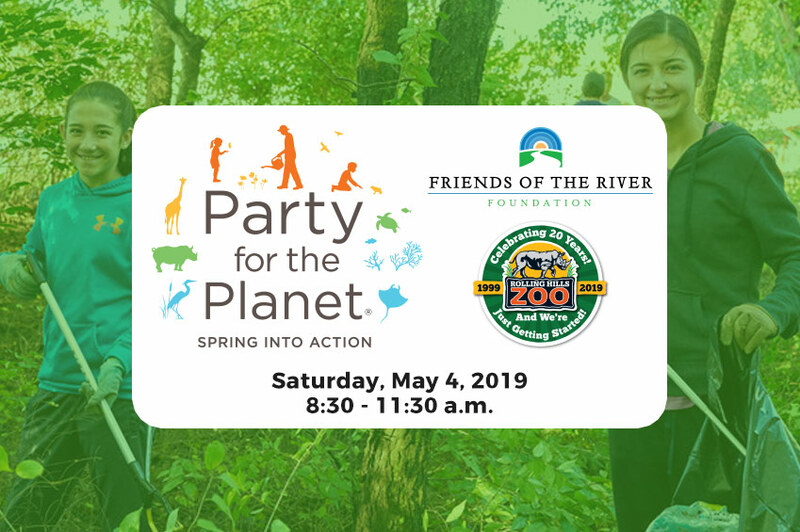 Join us as we "spring into action" and get involved in conservation efforts, right here in our community! Let's celebrate MOM! Moms with a child GET IN FREE! 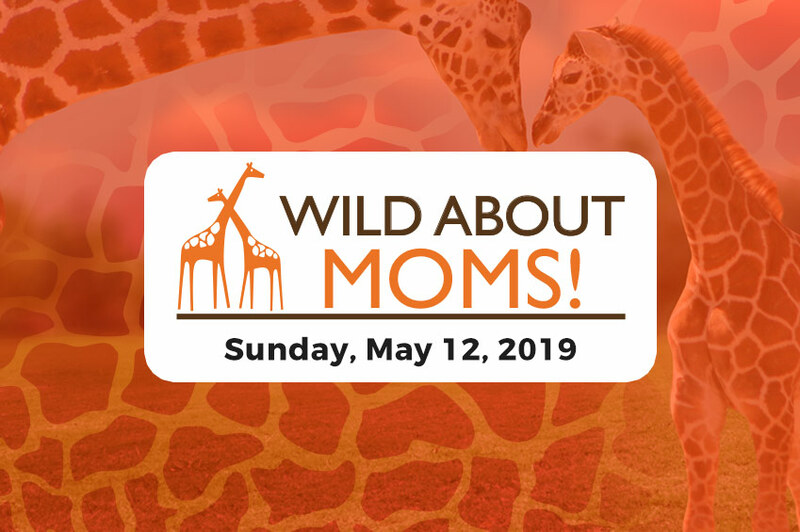 Treat mom to a day at the Zoo! Leave us a message below and we will get back to you as soon as possible. Thank you!